Edinburgh based, he formed a number of partnerships throughout his long career, including one with Sir George Washington Browne , 1881-5, and became one of the most important architects in Scotland. Much of his finest work is in Edinburgh where he produced extensions to Edinburgh University, including its dome (1874-87); the Scottish National Portrait Gallery (1884-9) and the McEwan Hall (1897). In Glasgow, he designed Govan Old Parish Church (1882-8), which was built without its steeple and extensive sculpture scheme; the Central Station Hotel, Gordon Street (1882-4); additions to Pollok House (1890-1908); the Pearce Institute, Govan Road (1902-1906); and Pollokshaws Burgh Buildings, Pollokshaws Road, for which he re-created the tower of the Old College (1895-8). 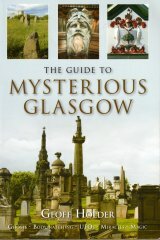 The Pearce Institute and Pollokshaws Burgh Building are his most elaborately sculpted Glasgow buildings; the former including a three-masted galleon made by workers at the nearby Fairfield shipyard; the latter featuring a number of Masonic symbols and Renaissance motifs by an unidentified carver. Elsewhere, he worked on the restoration of Jedburgh Abbey (1875) and Paisley Abbey (1898-1907) and designed Mount Stuart, Bute (1878-1902). Known as the 'Nestor of Scottish architects', he received his knighthood from King Edward VII and was later awarded the RIBA Gold Medal, 1916.